Having sold residential real estate in Santa Barbara for over 20 years, initiating her career in Los Angeles selling commercial real estate, and daughter to real estate investors, Maureen has been around the industry for a lifetime. Her business is based on the core values and ethics taught to her at a very young age -- integrity, honesty, being a great communicator. These qualities coupled with a tenured background in private banking, having in-depth community and market knowledge, providing cutting edge marketing and the latest technologies and being an effective negotiator is a critical skill set in being an excellent real estate professional. “I want my clients to feel special, because they are. Each client has an individual need, and I want them to always feel that need is being met.” Maureen McDermut, Sales Associate at Sotheby’s International Realty, Santa Barbara. 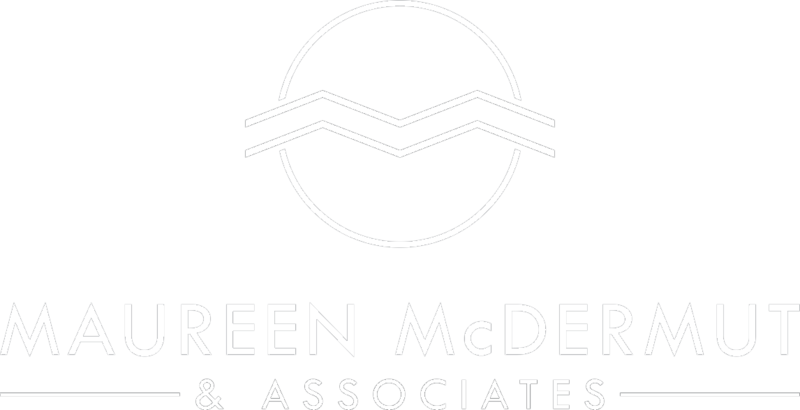 Ranked consistently among the Top 1% of Agents in Santa Barbara, Maureen has 20+ years of experience specializing in residential and commercial real estate. Maureen resides in Montecito, Ca with her husband Martin. Proud parents of three, daughter Maggie, presently attending CU Boulder, son Christopher, currently working for a tech company in Los Angeles, and their third (fur)child, Mila, a rescue mix who will probably never leave the nest. Passionate about community and giving back, Maureen stays always active in philanthropy. She currently serves on the Board of Directors for Habitat for Humanity and the Eucalyptus Hill Improvement Association, and in an advisory role for La Casa De Maria. She formerly held positions on the Cal Berkeley Parents Campaign and volunteered for Meals on Wheels and Catholic Charities food pantry.